Villanova Tulo (Biddanoa de Tulu), a small town in the region of Sarcidano, at the foot of the hill Saint Sebastiano towers above the wide valley of Flumendosa, where the big lake is formed. Once formed by two separated towns Villanova and Tulo, nowadays it shows marks of the Roman era and several examples of rural architecture such as the church of Saint Giuliano, which was built in the XVII century maintaining some Gothic-Aragonese structures of a pre-existing ancient worship building. 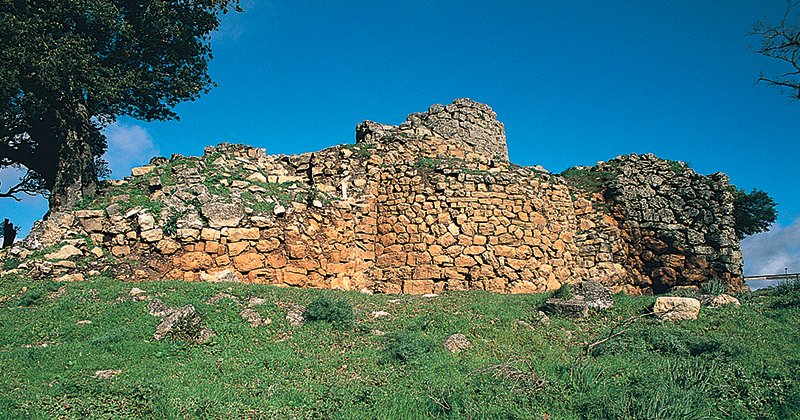 This territory has been inhabited since the nuragic era, as shown by the nuragic complex nuraghe Adoni, not far from the built-up area, which is set in a strategic position and which towers above the territory, offering its visitors a breathtaking view on southern Sardinia. The author and futuristic poet Benvenuto Lobina was born in this town, he gave importance to Villanova Tulo through the romance in Sardinian language “Po cantu Biddanoa” (about Villanova). In the town centre it is possible to admire beautiful murales that Pinuccio Sciola, a very important Sardinian sculptor has dedicated to Lobina and a bronze statue dedicated by Piergiorgio Gometz. The Frumosa Cave is also worthwhile to be visited, where several tombs dated back to the bronze age were found (1800 b.C.). The beautiful mountainous area of Ruina Pontis offers sporting tourism such as trekking, horse riding, and fluvial canoeing. The lower part of the river is indeed known as a very funny trip down for canoeing loving. The forest of Pantaleo is very attractive full of centuries-old plants, maquis, natural lakes and rivers. Villanova Tulo is one stop of the Green Train (in the route of Mandas – Arbatax), the longest touristic line in Italy (159 km).